Everyone connected to the internet comes across PDF files almost daily since PDF is the most common format for sharing documents. As handsome the Adobe PDF format is most of the time, there are some situations where dealing with PDFs gets really annoying. You certainly have already experienced some of them. Just imagine you want to share a PDF by Email and the progress bar of your email client is reaching 80%. Suddenly an error pops up: The PDF is exceeding the maximum size which is allowed for an attachment. Another common issue is that you have a scanned PDF and you want to extract some editable text. You start clicking like on the PDF and try drag & drop the text to your favorite text editor but simply nothing happens. Here we show you how to get across this hassle with PDFs by using smart online file conversion tools. Let’s get back to the problem of reducing the file size of a large PDF for sharing it by email. Basically there are two different approaches of reducing a PDFs file size to a reasonable value. The first is simply compressing the PDF itself using a PDF compressor. A second approach goes a slightly different way: Only few people know about the DjVu format, the little brother of PDF. DjVu documents behave very similar to PDF but they have a decisive advantage over PDF: The DjVu format offers compression algorithms which are way better than those of PDF. 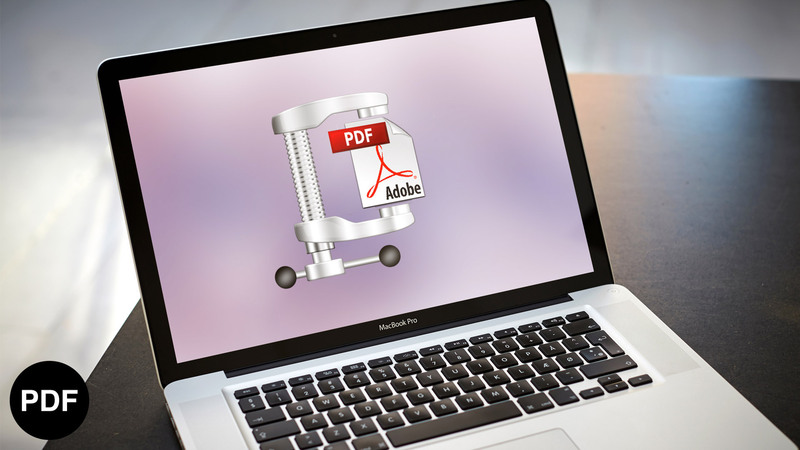 Therefore, converting a PDF to DjVu reduces the file size of a PDF by up to 90%. Apart from that DjVu files behave exactly like PDFs. Don’t believe it? Just give it a try by converting a PDF to DjVu. There are smart online converters doing this job for you: Just go to PDF to DjVu and upload a PDF there and you will see the magic happen. If you do not want to change the file format there is the option of using a online PDF compressor. Here the free service Compress PDF is a good example. The compression reached is depending on the quality of your input PDF but in general the site reaches a good compression level. So how about editing scanned PDFs? Also there we have a recommendation for a good online converter. Most of these sites fail since they are not able to perform OCR. However, PDF to Word masters that challenge and is able to convert any PDF to an editable Word document. The conversion is really fast and just takes some seconds. Afterwards you can start editing your PDF. Just start playing around with these tools and enjoy!